Germany is home for engineering Programs. The country has risen to become a highly attractive place to study any engineering program such as Electrical and Computer Engineering and related majors, for Bachelor, Master, or PhD degrees. International students who wish to study in Germany and still wonder how to break the language barrier, need to know some schools especially the masters programs are english taught. Interestingly, Germany offers the standardized European Credit Transfer System (ECTS) Hence, changing to a German university is now a much less complex process. The 21st century, has seen a dramatic change in technology. Almost in every sector, an electrical engineer is always in demand. The demand for those who can create, understand and alter electrical control systems has risen accordingly. Computing for one is constantly evolving and therefore innovative new thinkers are required to configure new ideas and pave the way in electronics. Electrical & Electronic Engineering, is one of the most in-demand professions and graduates in this descipline are regularly sought after. Electrical engineering now covers a wide range of sub-fields including electronics, digital computers, power engineering, telecommunications, control systems, RF engineering, and signal processing. To study electrical engineering in Germany, first step, for the admission process, your academic documents are important. To start this process, you need to find some universities which offers the course you want, in the medium you want to pursue them. The website: http://www.daad.de/en will help you a lot. Go to this website, got to INFORMATION FOR FOREIGN STUDENTS tab and click on ALL STUDY COURSES. The University of Kaiserslautern is a public research university in Kaiserslautern, Germany. The TUK has gained international reputation in research and teaching. 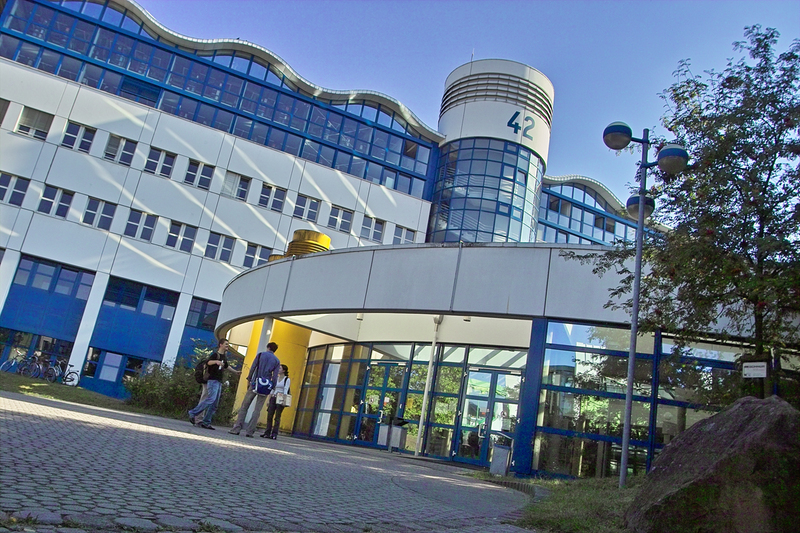 As the only technical and engineering university in Rhineland-Palatinate, the TU has acquired a considerable reputation since its founding in 1970. With around 14,200 students in twelve subject areas the University of Kaiserslautern has a manageable size, the close contact with professors and excellent service guaranteed. Electrical Engineering and Computer Engineering are offered as two separate graduate courses with varying technical orientation. The sound basic education in the four-semester undergraduate program is followed by the graduate program with technical specialization in one of the seven majors. The Technical University of Munich is a research university with campuses in Munich, Garching and Freising-Weihenstephan. It is a member of TU9, an incorporated society of the largest and most notable German institutes of technology. RWTH Aachen University or Rheinisch-Westfälische Technische Hochschule Aachen is a research university located in Aachen, North Rhine-Westphalia, Germany. The RWTH Aachen found in 1880, has a long lasting tradition of excellent education comprised of nine faculties among which, the Faculty of Engineering. The coverage of the RWTH Aachen engineering studies corresponds with the idea of expanding the electrical engineering potential. Students receive intensive basic studies – the mathematics, computer science, and electrical engineering education cannot be beat within Germany. Students begin their studies focusing on focus on mathematics, computer science, and the elementary stage of electrical engineering. The Basics continue for three to four semesters. The curriculum is quite mathematically challenging to ease up their way towards the essentials of technical principles and structural concepts.